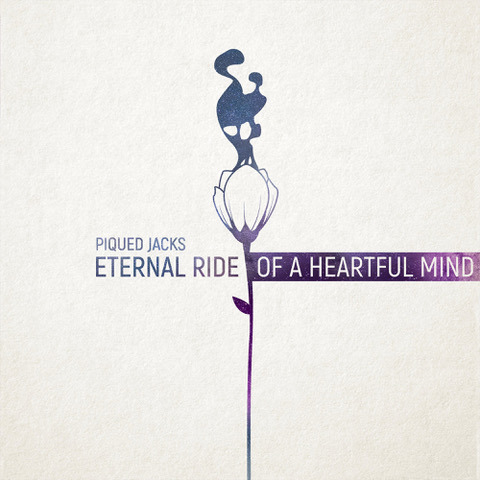 Tuscany-based alt rockers, Piqued Jacks, share their second single, "Eternal Ride of the Heartful Mind," from their third album, The Living Past, out now. Impose Magazine premiered the song and the "powerful new single & cinematic video" today, raving, "If this video doesn't move you, you might want to check your pulse," adding, "It's been a stereotype for a long time that Italians are a culture of romantics and are most passionate (maybe tied with the French), but this song proves that generalizations aside - these Italians understand the nuances of modern love and have hearts big enough to hold every definition of what it means to be lovers." Describing the video, Impose says, "We see a man take a pilgrimage into the forest, alone. We're confused about where he's going and why, until he reaches his destination: a protest against deforestation. People are chained to trees, as the demolition crew works around them. Holding signs, and full of emotion, the protests hold signs begging "don't cut it! plant it!" We learn the man is in love with one of the protestor's and has come to aid the cause." This drives home the band's message, and they explain: "Mutual love is the refuge for every so-called "unusual" relationship, always surrounded by the skepticism and judgement of others; it's a place where the couple's intimacy is sheltered from doubts coming from the outside." The single was recorded, and produced by Dan Weller (Enter Shikari, Young Guns) in an old house immersed in the natural beauty of the Tuscan hills. "Guys, that's the front runner single," Weller said, right after listening to the demo. After a heavily alternative track like the album's debut single from the forthcoming album, "Loner VS Lover," the Piqued Jacks once again prove their versatility and maturity with an intense pop song that opens itself up to a wider audience, without losing the band's distinctive sound. The first draft of the song featured E-King (lead vocals, keys), Penguinsane (guitar), littleladle (bass) and ThEd0g (drums), but its development came about with HolyHargot on the drums, and with the expert contribution of Dan Weller. Everything was then highlighted by the mixing of Forrester Savell (Karnivool, I Am Giant)." 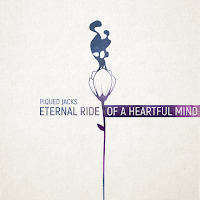 "Eternal Ride of a Heartful Mind" is an overwhelming piece of music and lyrics, whose title is inspired by Michel Gondry's cinematographic masterpiece. There's no intentional comparison of the song to the film, just a beautiful love story.